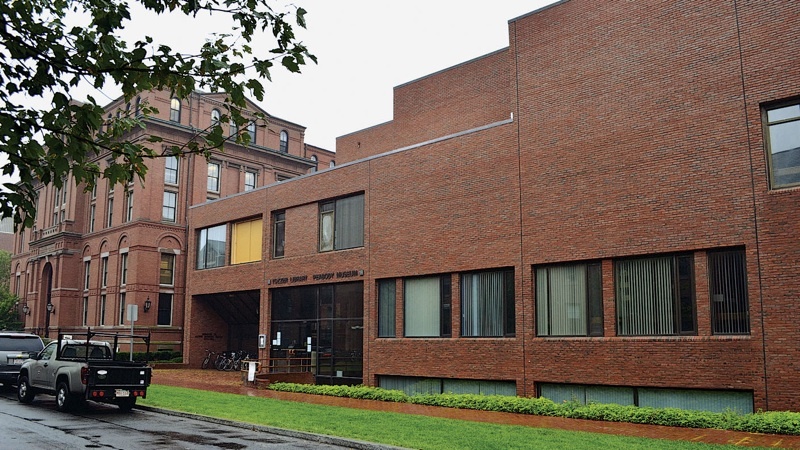 The Tozzer Library building on Divinity Avenue adjacent to the Peabody Museum will undergo a major reconstruction during the next year and a half as part of a $20-million Faculty of Arts and Sciences project to consolidate the anthropology department. Most social anthropologists are now housed at the far end of the street in William James Hall (the towering home of the psychology and sociology departments as well). The renovation will unite the archaeologists in the Peabody with the anthropologists, who will relocate to an enlarged and revitalized Tozzer in the spring of 2014. The idea, championed by both former dean of the social sciences Stephen Kosslyn and current dean Peter Marsden, is to strengthen the sub-disciplines within the department by bringing them together. In accord with larger discussions about the changing role of academic libraries, the project reconceives the library as a series of collaborative spaces, rather than primarily as book storage. In preparation, 155,000 books were moved from Tozzer, one of the world’s largest anthropology research libraries. Some 28,000 volumes were relocated to the first floor of William James Hall, which will be Tozzer’s temporary home during the construction, expected to begin with site preparation in December and January. Most of the remaining books were moved to the Harvard Depository, where they are readily accessible for recall through the online HOLLIS catalog. Once the new library space is complete, about 54,000 volumes will be held on two floors. Librarians anticipate that having the anthropology faculty housed on the three floors above will revitalize the library. FAS project manager John Hollister says the existing building will be stripped back to its structural steel and rebuilt to a LEED gold standard, with sustainable heating and cooling systems; 10,000 square feet will be added to the existing 24,800. (The building was originally designed to accommodate an additional story.) The design by Kennedy and Violich Architects includes a façade of brick and copper designed to echo the neighboring Peabody Museum; adds an entrance onto the rear courtyard; and incorporates an atrium that extends to the fourth story, with shared pedagogical and social gathering space on the second floor.